The African savannah can be a daunting place for those creatures who don't enjoy a high position on the food chain. But fortunately for some potential prey, they come equipped with features that give them a fighting chance in the face of adversity. 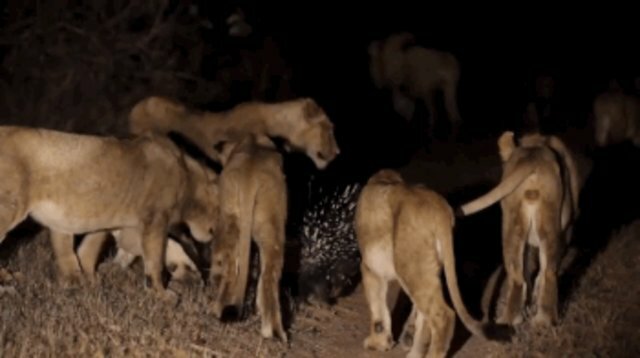 One porcupine was recently spotted putting his survival skills to the test after bumping into a pride of 17 hungry lions on the Londolozi Game Reserve in South Africa. According to Lucien Beaumont, who captured the encounter on video, the situation might have seemed dire at first, but the plucky little porcupine proved no easy meal. "All was not lost," writes Beaumont. "The porcupine began to shake its tail (known as a rattle) – the sound of the quills makes a distracting noise. 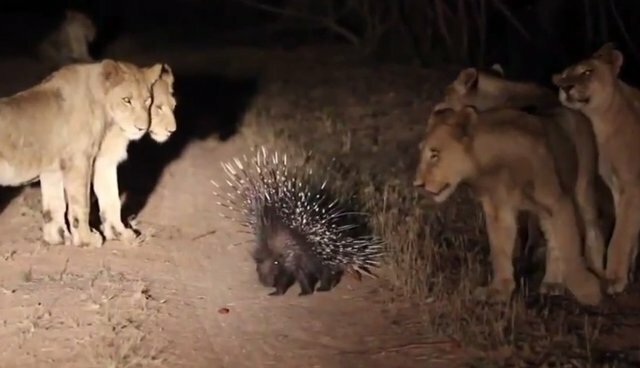 The porcupine began to run backwards into any lion that would come too close for comfort, a common defense mechanism for a threatened porcupine." The predators weren't quick to abandon their attempts at taking the spiky animal for a snack, as they are sometimes successful. 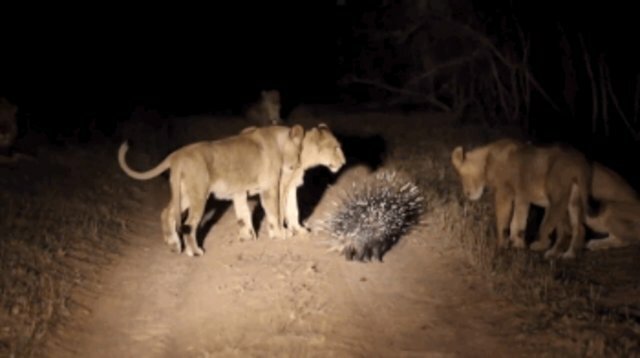 But the lions' plans were no match for this porcupine's strong defense. "This very lucky porcupine managed to survive," writes Beaumont. "The cubs soon lost their bravery and backed off, leaving the porcupine to disappear into the night and live to see another day." But the lions' decision to walk away may very well have saved their lives as well. 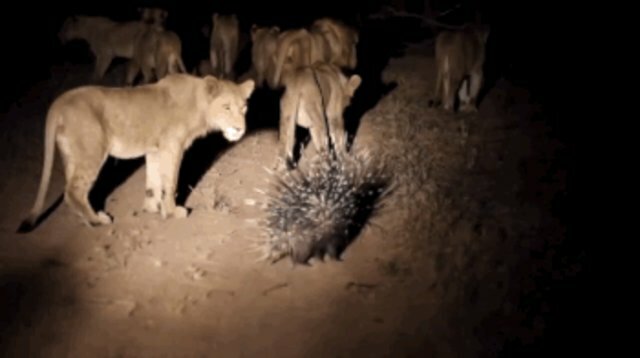 A recent study found that porcupines will occasionally use their sharp quills not just as a shield, but as a defense weapon too, delivering a lethal blow that can kill even the most ferocious of adversaries - including lions.